Demonstrating with the Yellow Jackets on the Champs Élysées against la répression du gouvernement. 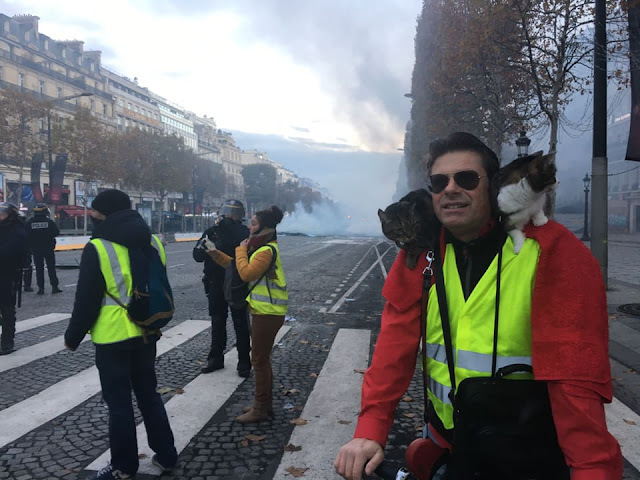 It was quite festive in the beginning; but cats are not partial to tear gas, so when the tear gas grenades started raining around us, the bicycle cats said Enough and we pedaled home. NOTE: This post will be fully updated, greatly expanded, and, in the process, thoroughly rewritten for an article in the January 2019 issue of the New English review entitled THE TRUTH ABOUT FRANCE'S YELLOW VESTS. 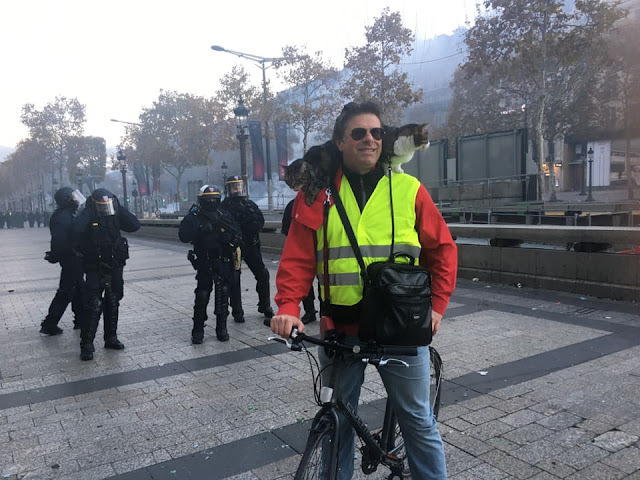 The 2008 law (under the presidency of Nicolas Sarkozy) requiring the presence of high-visibility vests (gilets de haute visibilité) aka security vests (gilets de sécurité) in every vehicle — hardly an unreasonable rule, for sure, as similar ones exist throughout the continent — was just another example of the myriad of evermore-onerous directives for car and motorcycle owners over the past 15 years, and so the government in effect provided the 2018 rebels with their uniforms. And just like the arms industry in the Soviet Union, if there is one area of France where the technology was/is always moving forward, it is the radar sector. Call it the radar-industrial complex. Over the years, the radars have become evermore stealthy and insidious. For instance, radars have gone from contraptions being able to photograph a single car on only one side on the road, in the lane closest to the machine (with a burst of white flash quite jolting to the driver at nighttime), to taking multiple pictures over the entire roadway simultaneously of several vehicles driving in both directions. The first radars were installed in 2003 under President Jacques Chirac and his interior minister, Nicolas Sarkozy, and in the beginning, drivers were always warned by a road sign when a radar could be expected ahead (which brought about exactly what allegedly was the desired goal, to get cars to slow down). 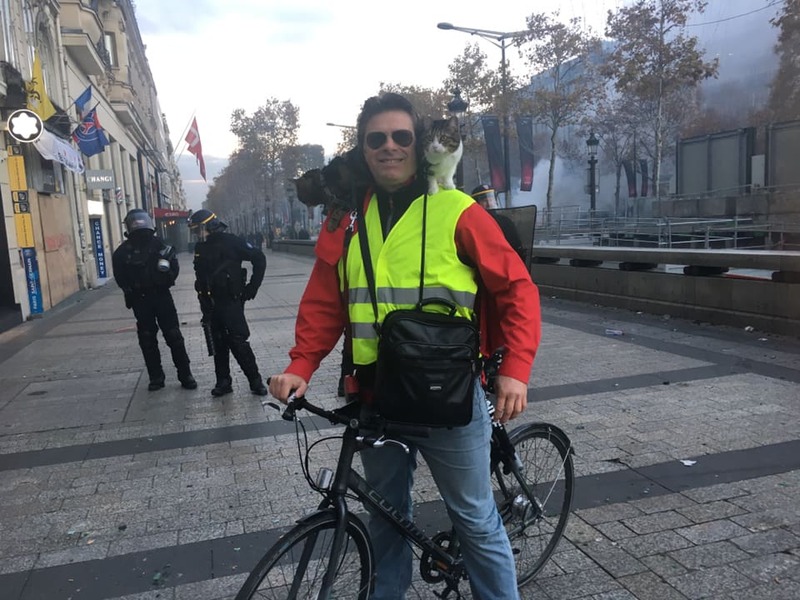 What has happened since shows the Deep State at work in Europe just as much as, if not more than, in North America — and this leftist statism is the kind of news that has been ignored by the mainstream media, in France itself as much as abroad. Eventually — in spite of the insistent promises of then-interior minister Sarkozy — new radars were installed without road signs announcing their presence. Recently came the news of mobile radars, as mentioned above, meaning unmarked cars loaded with a radar-installed contraption driven by gendarmes dressed in civilian clothes. (Everywhere, young boys daydream of wearing a shiny uniform and going into action to fight crime; imagine, then, a policeman being asked to remove his uniform and put on his plainclothes to do nothing but passively drive up and down the road or highway in an unmarked car and let the hidden radar do its work, i.e., making him trick his (otherwise honest) fellow citizens who have done nothing but "violate" a rather arbitrary administrative rule, a "speed" (sic) limit that has barely changed, if at all, in almost 50 years). Meanwhile, crony capitalism has given rise to a side economy, a side economy whose only purpose revolves around the punishment of citizens with cars or motorcycles — not least with blossoming (and very expensive) driving schools for drivers to recoup at least some of the points they have lost on their driver's licenses (again, for violations of a rather arbitrary malum prohibitum rule). 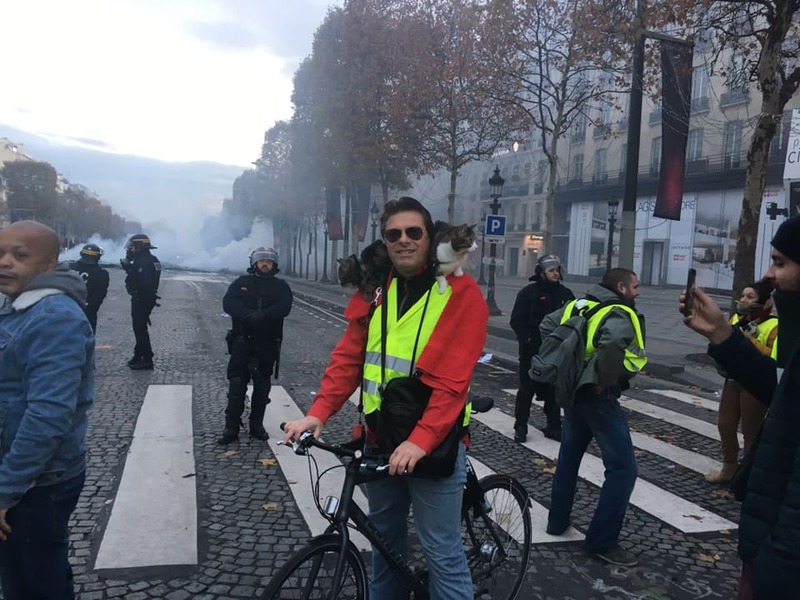 If and when they are down to 0 points, they are barred from returning to the schools and they lose the license itself, for a year or more — the licenses of some two million Frenchmen are currently suspended — which leads in turn to job losses for some 80,000 drivers every year, since they can no longer commute. 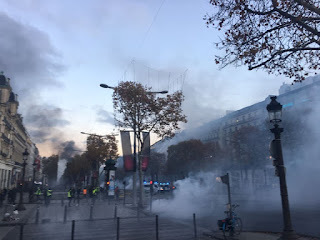 Il y du Fake News ici — Les médias (francaises et internationales) rapportent que les manifestations sont contre la hausse des prix de l’essence. Ce n’est pas faux, mais le Fake News, c’est ce qu’on ne dit pas. En fait, ces hausses ne sont que la goutte qui fait déborder la vase, le dernier exemple de répression, de persécution, et de matraquage depuis 4-5 mois. 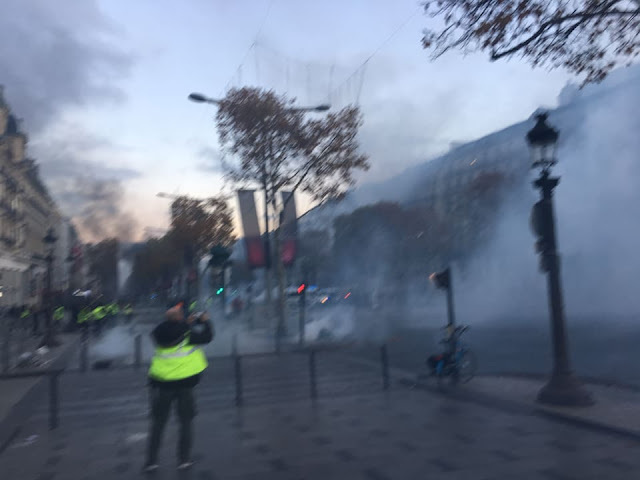 Nous ne sommes pas des vaches à lait ! Awesome writing, thanks for the update Eric. You are the real news. Thank you, a friend in California.